Product information "Bosch PUE611BF1B - Induction Hob"
Sometimes it can be hard to get every dish element ready on time, but you won’t find this with the PUE611BF1B. There is a timer on all zones, which also have switch off functions. So, there’s no need to worry if you get caught up in another task, as the hob will turn off automatically after the desired cooking time. 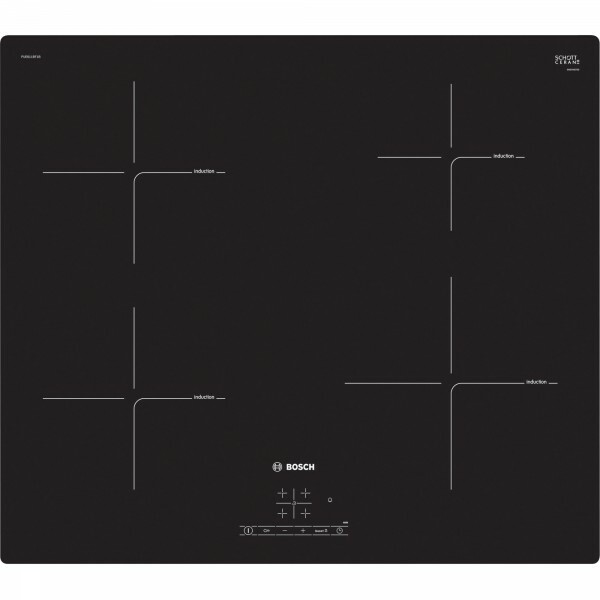 Related links to "Bosch PUE611BF1B - Induction Hob"
Customer review for "Bosch PUE611BF1B - Induction Hob"